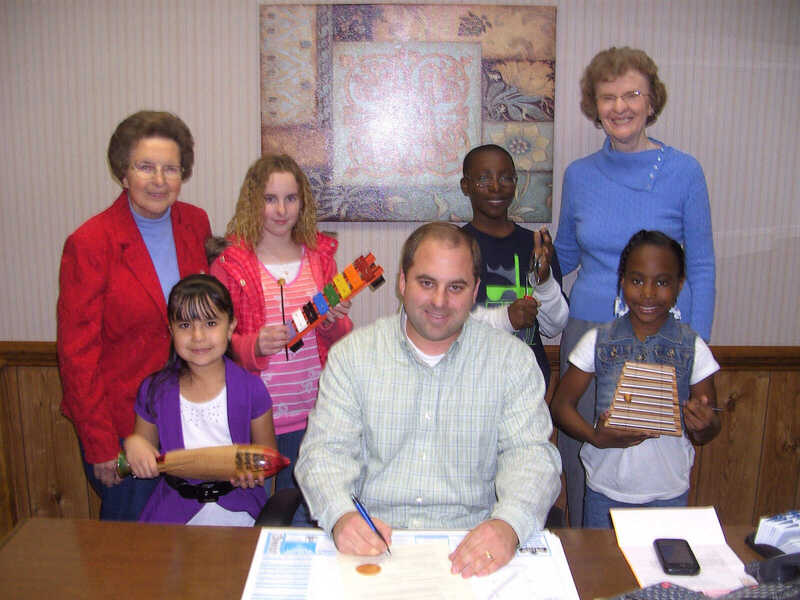 Photo provided Mayor Jake Crafton signed a proclamation on Tuesday, Nov. 22, recognizing the month of November as Parade of American Music month. Pictured with Crafton are members representing the Wednesday Music Club and each of the junior clubs. Back row, left to right, are Anita Blackmon, Kim Westmorlan, T.J. Hourd, and Marilyn Caldwell. Front row, left to right, are Gaby Garcia, Mayor Jake Crafton, and Kirsten Hourd.